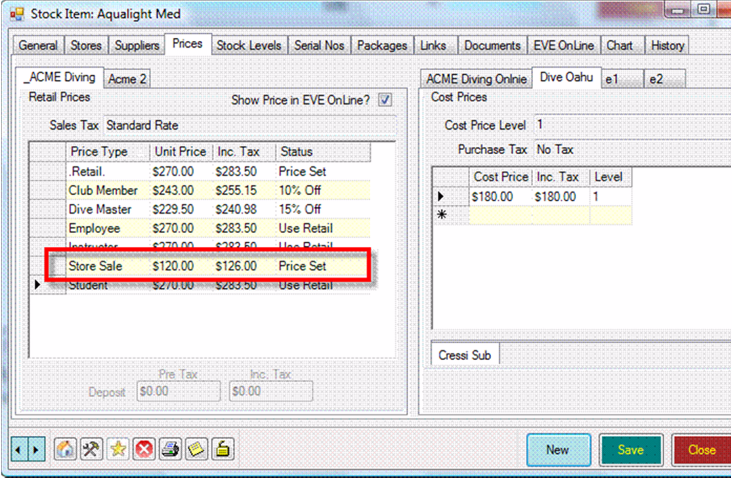 Then, you can set Store Sale prices for all Stock Items that you want in the Sale. 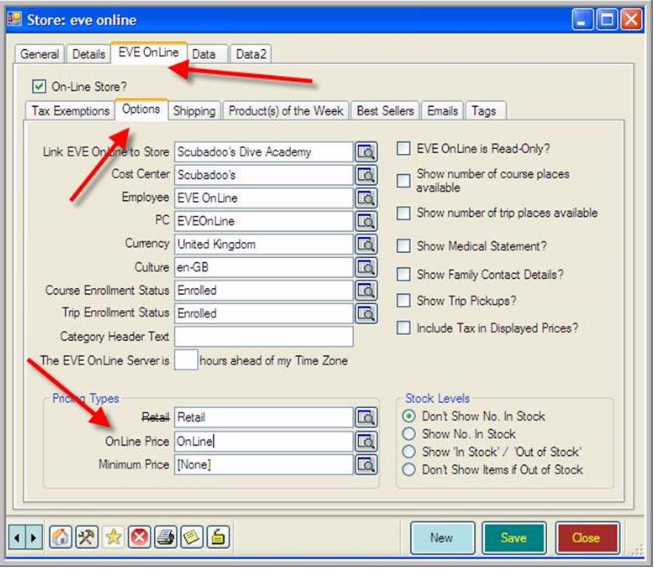 You can activate those Sale prices by clicking Tools then Options then All PCs. 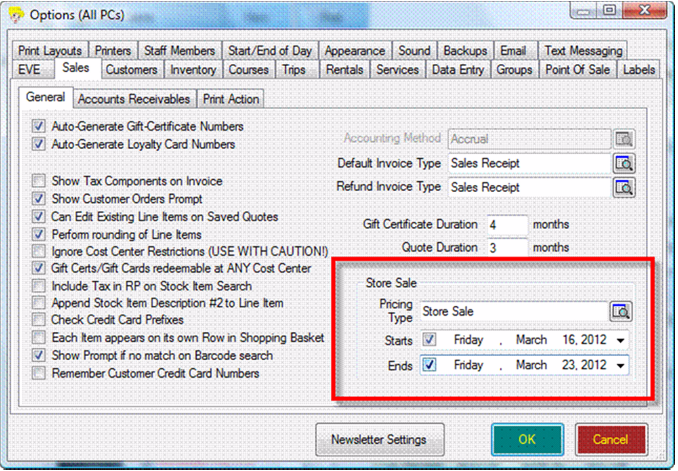 Click Sales and set the Store Sale options. 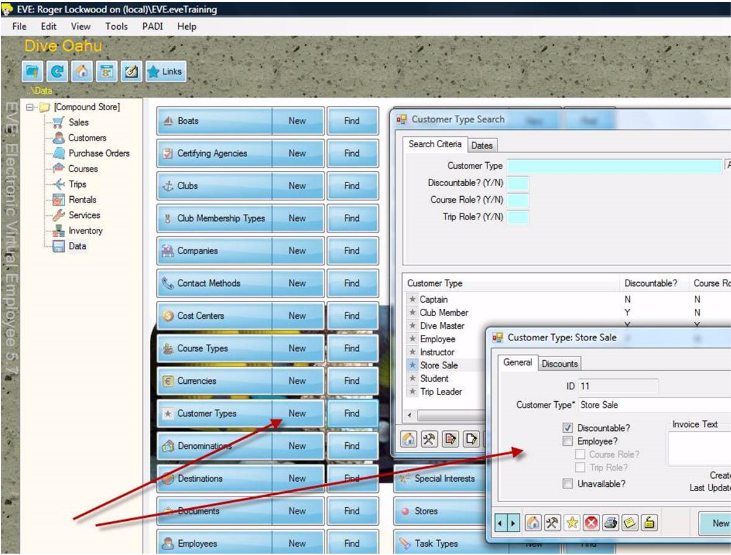 First step is to create a Customer Type called, say, Online. 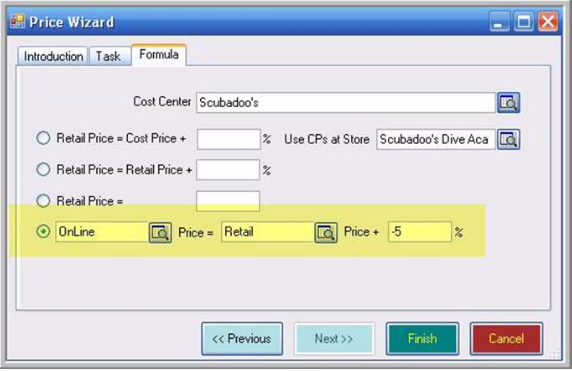 In this example all Online prices would be 5% less than your standard Retail prices.